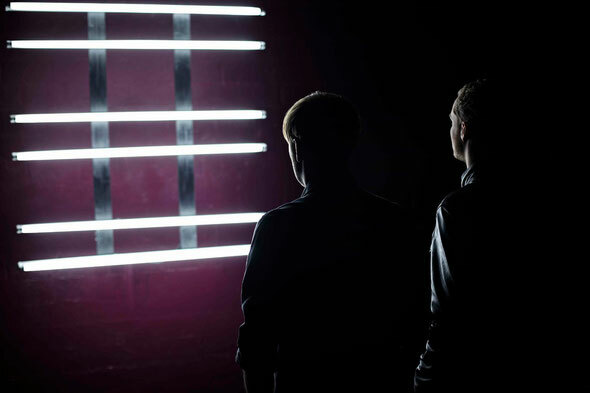 Neosignal’s recent album ‘Raum und Zeit’ highlighted them as one of bass music’s most interesting future prospects. With peer support from the likes of Amon Tobin, Skrillex, Opiuo and Noisia (who’ve signed them to their Division Recordings label) the German pairing of Florian Harres and Michael Bräuninger (aka Phace & Misanthrop) attracted widespread acclaim for a debut packed with pioneering and hard-edged electronic music. Following on from ‘Planet Online’, ‘Sequenz’ is the second single from the album and has been a mainstay for their live show with performances at fabric, Urban Art Forms Festival Graz/AU, Dockville Festival Hamburg/DE, BASSart Festival in Munich/DE, Melkweg Amsterdam/NL. It also recently featured in the official PlayStation 4 ‘Best Games Trailer’ at Gamescom. The forthcoming video for the single has been directed by leading French production company, Dent De Cuir (who produced the video for ‘Planet Online’). In addition to remixes from Mefjus, Jan Driver and 12th Planet, ‘Sequenz’ is accompanied by another original track, ‘Dernier Cri’. Their next live appearance is set for Oct 19 at the Amsterdam Dance Event in Holland, with more dates to follow.